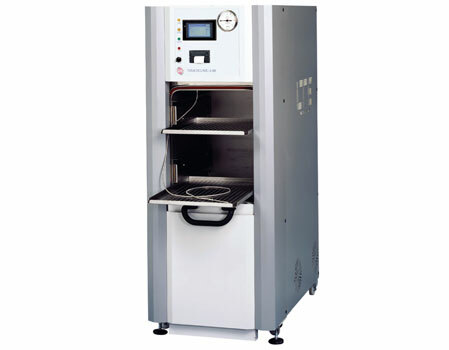 LTE Touchclave Systems Rectangular Autoclaves provide medium to large capacity sterilization solutions for a wide variety of applications. Our MP range of general purpose rectangular chambered sterilizers are available in six standard sizes and 326 to 1052 litres. Larger sized units up to 10,000 litres can also be provided. All models can be configured for either single entry or pass-through. All Touchclave Systems models are fitted with a wide selection of features as standard, all designed to ensure optimum performance.